We have a Winner of our Referral Competition! Congratulations to… Kosta Sivridis from Surrey. 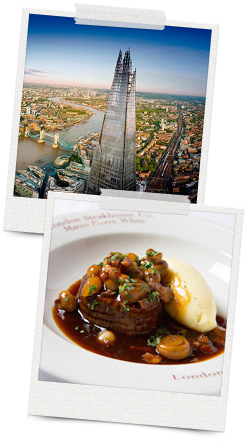 Kosta has chosen the ‘One night London break for two with a stay at the Radisson Blu Edwardian, visit to the Shard and Marco Pierre White Dining’ experience. Well done Kosta! We hope you thoroughly enjoy the break. Thanks to the great response we received from you, our valued clients, we have decided to run a summer referral competition with three more fantastic prizes to choose from. Don’t delay! Start referring your friends and colleagues today. Each time you refer someone you will be entered into the draw, so the more you refer the better your chance of winning! Look out for more details on the competition and specific details of the prizes on offer in the next few days.